The holidays are just around the corner (already?!) and as you dash from one social gathering to another you’ll no doubt feel the obligation to bring “something” for the host. 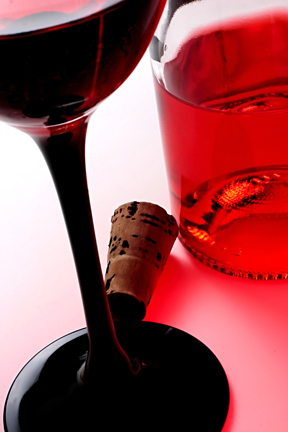 A bottle of wine seems to be everyone’s go-to gift, but the problem is it shows zero thought on your part. In fact, there’s a good chance you just grabbed something from your own cabinet as you ran out the door (or is that just me?). Other wine gifts such as wine baskets, monogrammed glasses, or specialty bottle openers are super expensive, which isn’t practical for multiple holiday parties or office staff gift-giving. This year, take a few minutes to think ahead so you can show up with a personalized gift that will stand out and show you put some thought into it. What are the host or hostess’ hobbies? You can easily purchase a unique ornament (or other gift) with a design that expresses their interests and have it engraved at Kyle Design. All gifts ship out in 1 to 2 business days (including engraved ones) so you can even get something special for a host last-minute! 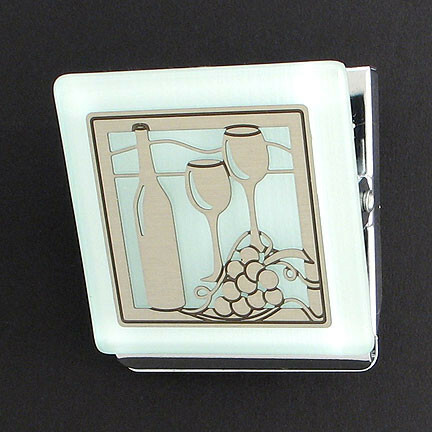 If you want to stick with the wine theme – which is a great idea during the holidays – Kyle Design has hundreds of unique gifts with etched metal designs of wine bottles, wine glasses and grapes. All can be personalized with your color preferences and most can also be engraved. Gold and blue shown as example – choose your own colors! Add engraved message. These personalized, metal gifts will last for years, while a bottle of wine will be consumed and forgotten in no time – possibly even the night you gift it. Take a minute to browse all the unique gifts available at Kyle Design and I’m sure you’ll find the perfect holiday gift for colleagues, party hosts, and gift exchanges among friends and family. 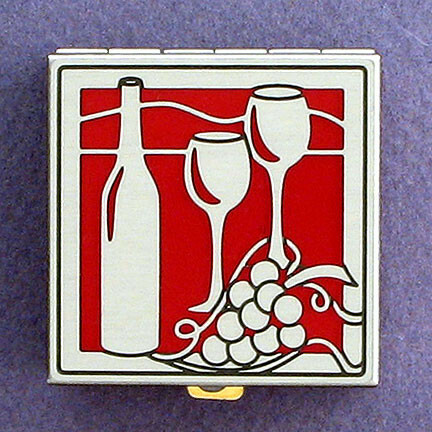 Or, if you already know you want a wine ornament (an excellent gift! 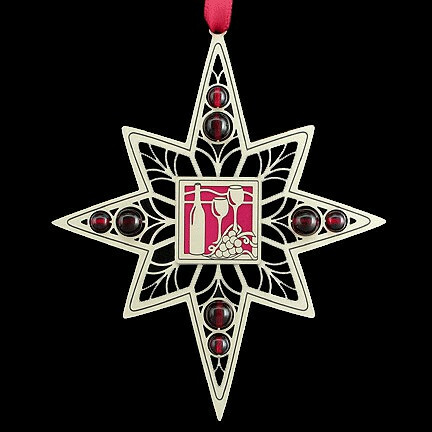 ), click custom Christmas ornaments to select your favorite size and shape ornament, add the wine design (“Wine #138” from the “Food & Nature” category), choose your favorite color combination and personalize with an engraving. After you order, your personalized wine ornament will be shipped out in 1-2 business days.